The 2018 Future of Work series brings together designers, academics, and business owners to share insights on how the creative workforce must adapt to keep relevant in an ever changing economy. From developing enhanced leadership skills to understanding design as a business tool, creatives will learn to prepare and quickly adapt to the future workplace. Tickets here. 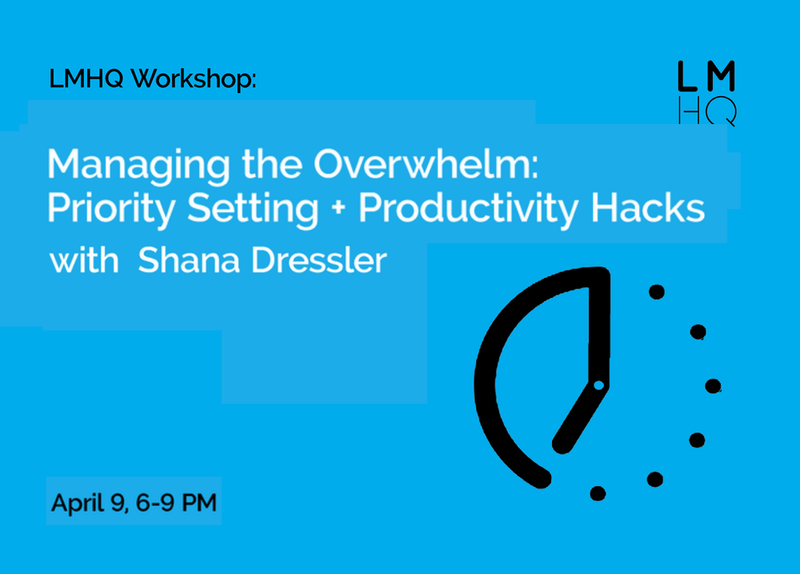 Tired of feeling stressed out about tasks that stay on your to-do list forever, even though you keep promising you’ll get to them? Believe it or not, you can change your habits and develop a new mindset that will allow you to focus on what’s most important to you! Managing your time is one way to achieve work/life balance. Tickets here. 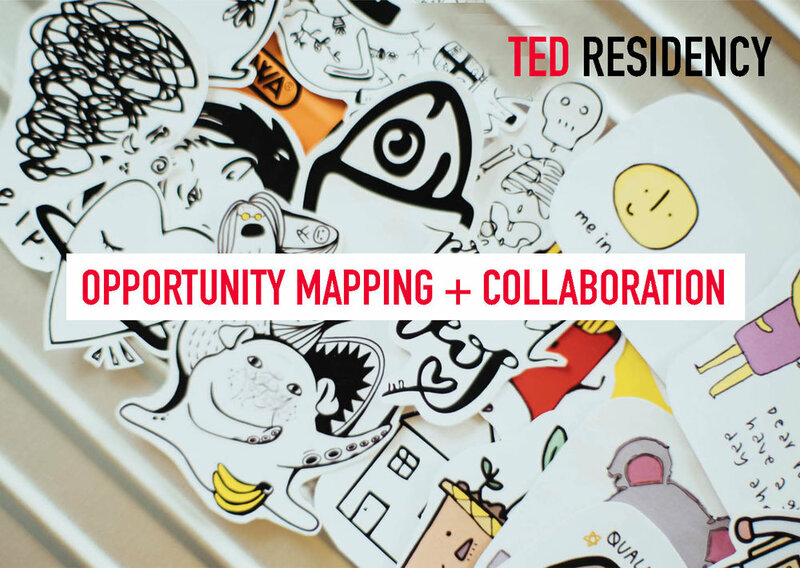 Do you have an idea for a project you want to get off the ground? Have you gotten started but feel stuck because you’re not sure how to move forward and bring it to life? Whether want to launch a startup, ready to take your nights and weekend passion project to the next level or you're tasked with building an innovative program within your existing company, you'll need to build a strategy to make turn your ideas into reality. Tickets here. NY EdTech Week brings the art and style of New York to education technology. 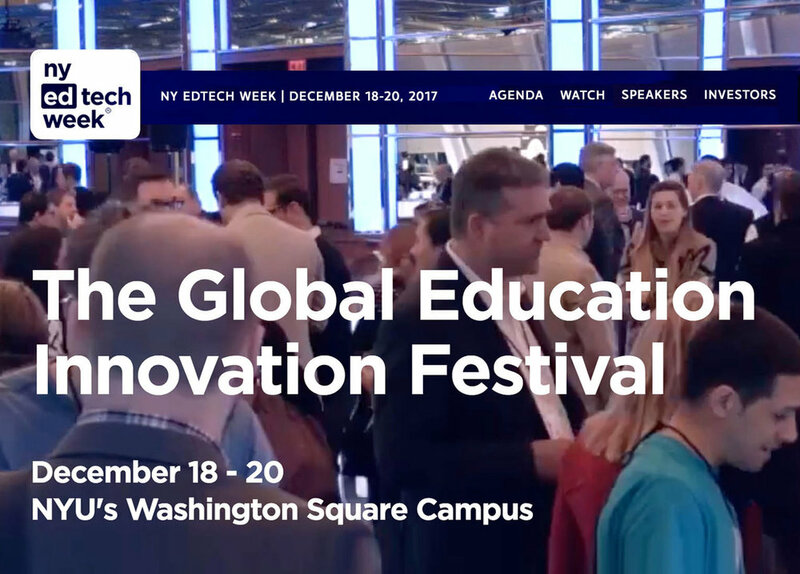 From TED Talk-style presentations, to performances by Ugandan drum circles and Broadway singers, to Shark Tank format pitches, NY EdTech Week consistently facilitates some of the most impactful and memorable ed-tech experiences of the year. I will be holding office hours. The 5th edition of The Next Web New York is aimed at decision makers exploring how digital technologies are disrupting business as we know it in the Technology, Communication and Media industries. The event brings together 1,000 industry leaders –by invitation only– to discover, discuss and shape what’s Now and Next in digital. I will be hosting a roundtable. Building on the successful model of the Clinton Global Initiative, President Clinton launched the Clinton Global Initiative University (CGI U) in 2007 to engage the next generation of leaders on college campuses around the world. I participated this year as a panelist and met with over 40 students to give them feedback on their projects and startups. The Techstars IoT (Internet of Things) program is based in NYC and attracts founders from around the world. In October and November I offered 2 workshops focused on leadership, creating culture and how to deal with difficult personalities. Each Year The Happy Startup School brings a group of entrepreneurs from their community together for their annual summercamp. I had the pleasure of hosting a leadership workshop for 50 people. Click here for a short interview. Over the weekend, September 15 - 17 a group of budding entrepreneurs, creatives, innovators, movement makers and startup founders gathered together in the Sussex countryside for the Happy Startup School's annual Summercamp. I gave a talk and workshop on mindful leadership. In this conversation with Carlo, Shana gives a very personal, visceral and searingly honest insight into her life, her love of travel and cultural exploration and how she switched her professional focus from personal goals to supporting emergent businesses seeking to effect socially progressive and positive change in the world. To listen to the podcast, click here. These days there are plenty of incubator programs promising an express ride for founders from fuzzy idea to the promised land of venture capital. But of the options, very few have targeted designers, recognizing the unique skill set that design practitioners bring to the world of entrepreneurship. In 2014, Google Creative Lab set out to change that by setting up 30 Weeks, a hybrid incubator and education program with support from the continuing education organization Hyper Island.